Check out this exclusive unit located in the prestigious (and private) Mesa Verde complex on Gary Drive. Top Floor Unit Displays Vaulted Ceilings and Bay Views! Gorgeous remodeled kitchen with new Bamboo flooring, beautiful remodeled master bathroom, new water heater, double-pane windows and fresh paint throughout the house. Covered garage included with unit. Delight in one of the many pools, a game of tennis, or workout at the newly renovated gym! Within minutes to freeways, BART, shopping & restaurants in both Castro Valley & Hayward. 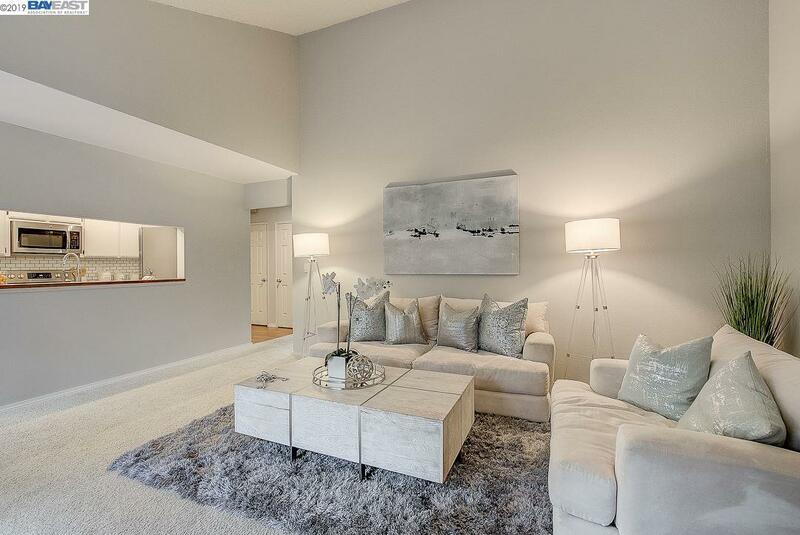 Enjoy a tranquil environment located in Castro Valley! Open Houses on 2/16 & 17 from 2 - 4PM. Gated community, please enter from front gate only (accessible from Strobridge Ave. to Gary Dr.) Dial 228 and wait for gate to flash green light to enter (1 car per entry).